* Tourist visa is valid for 3 months upon issuance. * single entry with 15 to 30 days maximum duration. * as of October 2015, there are 2 ways to obtain this visa; apply for visa-on-arrival or the standard process. 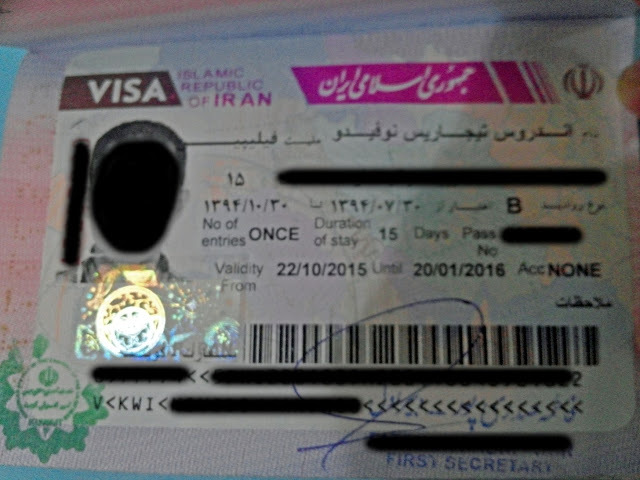 For Filipino travelers, we are not visa-on-arrival in Iran anymore regardless of work and work residence. Just like other nationality who wants to visit as tourist, we are obliged to submit the following requirements on applying tourist visa before arriving to any Iran airport/border. 1. 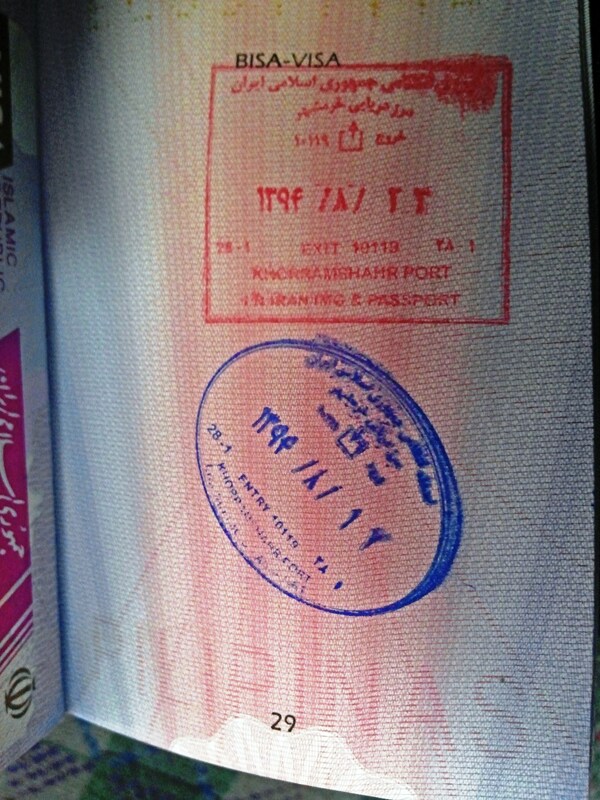 Fill and submit the Visa application form with a scanned copy of the passport photo page. 2. 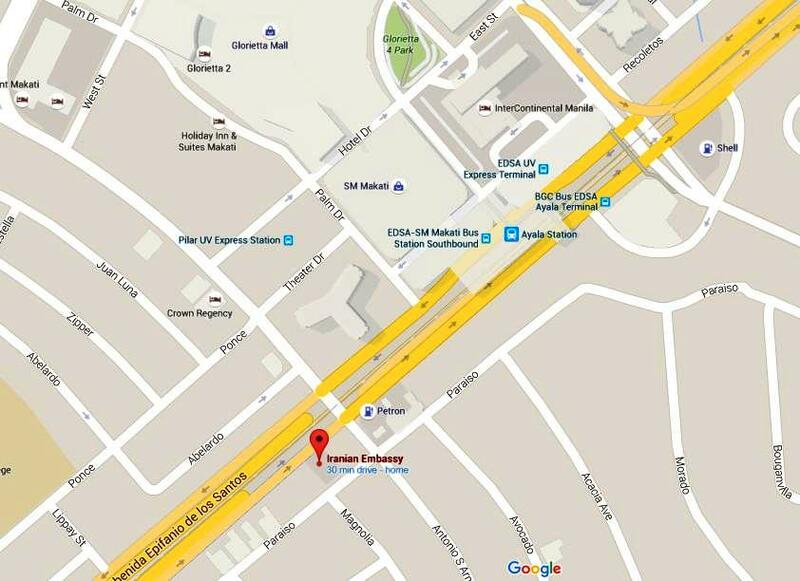 Your Visa Application Form will be checked and confirmation will be sent to you within 48 hours after sent. Afterwards you will be asked to remit 30€ to international bank account mentioned in their email. 3. In 10 working days Iran Ministry of Foreign Affairs will update the travel agency with your visa status. If your request has been rejected, your visa fee will not be refunded. It is possible to reapply one more time. 4. If your request has been accepted, Iran MFA will fax your invitation letter to the Iranian Consulate of your choice. Travel Agency will provide you the reference number of your visa. You will call that Consulate of Iran to ascertain that your invitation letter has arrived. 5. Go to that Iranian Consulate with the visa reference number and your passport in hand and receive your visa within 1 or 2 working days. Pay the visa fee. Open during Monday to Friday from 0900H-1600H. Visa will be released after 25 working days from the date of submission. 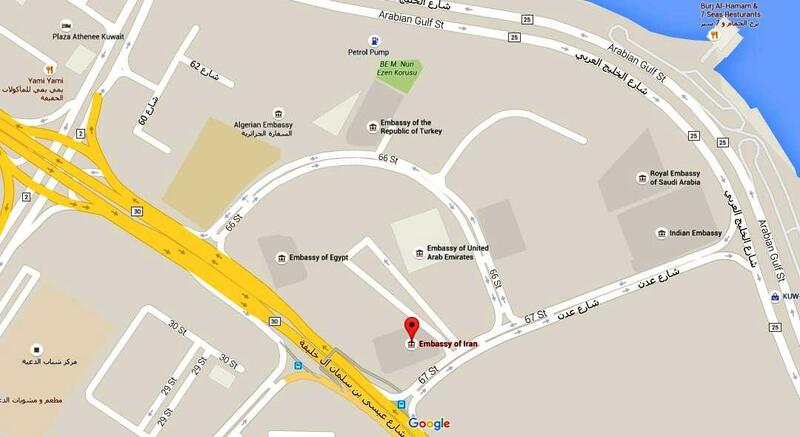 Open every Sundays to Thursdays from 0830H-1130H. Visa will be released within 25 days processing from the date of submission. October 08, 2015 (Thu) - filled-up and submitted online application via this link together with my scanned passport. Travel agency replied around 15mins after submission. They told me how to pay the 30 Euro visa processing fee via international bank account. I deposited my payment (bank service fee charged on my account) after 2 hours. Travel Agency replied they will process my visa as soon as they confirmed the deposit. Processing takes around 10 days max. October 12, 2015 (Mon) - Travel Agency confirmed they received my payment and immediately applied my visa. October 15, 2015 (Thu) - Travel Agency sent me email for my approved visa stating the visa application # 10007XXXXX - 1000XXXXXX with request approval # 121XXXX (only 3 days processing from payment). October 22, 2015 (Thu) - I visited Iran Embassy and confirmed they received my approved visa. Paid the 16KWD, forwarded the documents above then received a claim stub. October 25, 2015 (Sun) - I re-visited Iran Embassy to get my passport with the claim stub issued.